The Appalachia Partnership Initiative (API) invests in programs that engage students in science, technology, engineering and math in preparation for careers in the region's high-demand occupations. Support for post-secondary programs focuses on workforce development training, apprenticeships, and certifications in energy and advanced manufacturing industries. 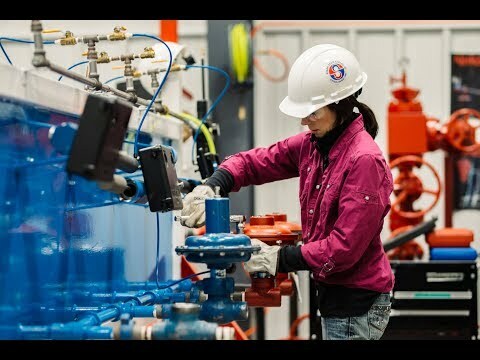 Through Chevron’s investment, the API has committed $20 million to regional workforce development. ShaleNET is a workforce development program that provides training in skills and competencies related to industrial process controls, instrumentation, electronics, gas measurement and industrial maintenance. In Greene County, Pennsylvania, the API funds the "Natural Resources" course offered at Waynesburg Central High School. The course focuses on STEM skills, offers industry certifications and has graduated 90 students to date with another 25 anticipated to graduate at the end of the 2018 school year. 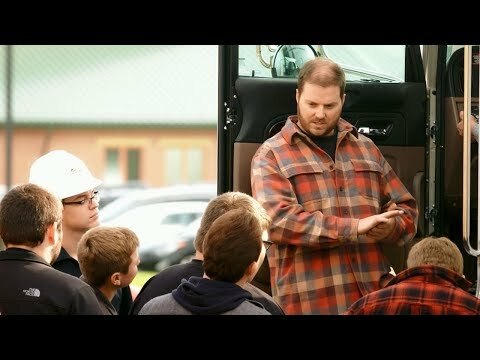 Through the Appalachia Partnership Initiative, high school teacher Justin Golsky offers a course that provides job certification training for the oil and gas industry. Chevron is committed to supporting the economic development of the Richmond, California, community and is proud to sponsor the Contra Costa County Office of Education’s Regional Occupational Program (ROP). This program offers two separate courses that provide free job training and equip residents with the skills to compete for well-paying jobs, including technical jobs at Chevron’s Richmond Refinery. ROP courses help students develop strong communication skills, strengthen their analytical skills and teach them how to work productively, both independently and as part of a team. Over the lifetime of the ROP, 731 program graduates have been hired by Chevron and others. In partnership with Casa de Amigos, Chevron supports a job-training program in the Permian Basin that helps equip low-income women and men with the skills to obtain high-paying jobs and attain financial security. In 2017, the program served more than 200 people who were able to gain access to skills training and preparation for future jobs. In 2018, Chevron celebrated 12 years of partnership between our Pascagoula Refinery and the Mississippi Gulf Coast Community College (MGCCC). Chevron supports the innovative Process Operations Technology program at MGCCC, which trains students to work at the refinery and other plants across the Mississippi Gulf Coast. Students in the program learn to work with equipment similar to that used at Chevron’s refinery, making it a natural and valuable pipeline of local talent to help meet our hiring needs. Since the inception of the partnership, Chevron has provided more than 75 scholarships to students, hired 173 MGCCC graduates from both the operations and maintenance tracks and hosted more than 250 interns and co-ops. In 2017, Chevron hired 50 program graduates.